Quinoa is super-popular, and for good reason, it’s a protein that you can eat as if it were a grain. A lot of people think that quinoa is a grain, but it isn’t, it’s actually seeds. Quinoa is healthy and gluten-free, so it’s an excellent alternative to grains for those of you who are grain free. So, for those of you who crave oatmeal, but your tummy doesn’t digest it well, have quinoa for breakfast. And, even if you aren’t grain free, quinoa for breakfast is nutty and delicious and very satisfying. You can serve it room temperature in the warmer months, or nice and warm in the winter. I make a huge batch of quinoa up every week to add to my meals. I make it directly in my under-$30 rice cooker; I just follow the basic directions for rice, and it comes out perfectly, every time. Try it, you won’t be disappointed. It couldn’t be easier. I toss quinoa in my salads for protein. I make quinoa and veggie bowls for dinner. And, I have quinoa for breakfast on mornings when I want something warm, homey, and filling. I hope I’ve convinced you to try quinoa for breakfast! If so, show me online either on Instagram or Facebook and tag #40yearflip. All the toxins we bring into our bodies age us—our skin, nails, hair, and our internal organs. But, next to drugs and alcohol, nothing ages us faster than our most common drug of choice, sugar! The negative effects of sugar on our bodies, skin, hair and mood are astounding! Sugar is everywhere! It is naturally present in most of the foods we eat. Some natural sugars such as honey and maple syrup contain enzymes, vitamins, and minerals. But refined sugar not only is mostly devoid of nutrients, it actually works against your body by depleting minerals and enzymes and creating an acidic environment, which could lead to digestive problems, sinus congestion, cellulite, headaches, mucus in the stool, and allergies. This is how sugar ages you on the inside and out. Not cool. So what are the negative effects of sugar on our skin? When you ingest sugar, it bonds with the proteins in your body, and this causes your body to produce free radicals. The words, “free radicals,” sound pretty badass, but trust me, they are bad news for your body and for your beauty. They breakdown the collagen and elastin in your skin; you know, the things that keep your face from wrinkling and sagging. Yeah, not awesome. Not only do they break down colleges and elastin, they also hinder your body from producing more. So, by eating sugar, you make yourself look older now, and prevent your body from tying to fix it! Double ouch! In addition to gifting you with additional and deeper wrinkles, sugar affects your skin in other ways, too, such as increased adult acne, the development of dark spots on your face and hands, and sagging in your neck and chin area. Increased sugar levels can make your under-eye circles darker, causing you to look tired. The production of free radicals, brought on by eating sugar, also makes your skin more sensitive to sun and sun damage. But, it’s never too late to take action. And, the sooner you take action the soon you can give those free radicals a kick to the curb, and the soon your skin can reboot its collagen and elastin production, and the sooner your body will begin to fill in those fine lines and wrinkles. I’m not going to lie, a great face cream will help a whole hell of a lot too. And sunscreen, ladies, let’s not forget the sunscreen. But, don’t let beauty products do all the work. Lotions and potions work from the outside and can only do so much. If you really want to look and feel younger, you’ve got to start from the inside. And the basis of that is your diet. And that’s not all. Sugar has a powerful effect on our emotions and moods, as well. When we consume refined sugar, it has a negative impact on our blood sugar, which leads to irritability, anxiety, poor sleep, hormonal imbalance and can also lead to more serious health problems. How can you flip sugar out of your diet and avoid the negative effects of sugar? Rather than focusing only on what you can’t have, get excited about adding in more of the healthy, nourishing foods your body is actually begging you for. So often when we’re stuck in a cycle of sugar addiction, our bodies are starving for nutrients. So, flip that switch, head to the grocery store, and stock up on fresh veggies and unprocessed foods, so your body is can get the nutrition it needs. You’ll start to notice a natural shift away from the junk food as you return to balance. ● Add in healthy fats like coconut oil, olives, and avocado. ● Keep healthy snacks on hand at all times and try eating them when a sugar-craving hits. You might find that once you fill up on goodness, your sugar craving will have passed. Our bodies are designed to move, but most people are living sedentary life-styles. When we deprive ourselves of basic exercise that our bodies need to stay fit and healthy, it can lead to imbalances and cravings. Make it your goal to move more throughout your day, especially if you sit at a desk for work. ● Set a reminder on your phone or Apple Watch to get up and stretch or walk around for 1-2 minutes every hour. ● Your smart phone tracks your daily steps. Do you know how many steps you take a day? Check your phone and find your average. The average person should walk 10,000-15,000 steps a day. Make it a goal to hit that daily 10,000-15,000 steps, every single day. ● Find an accountably partner to stay active with. ● Take the stairs instead of the elevator. Food cravings, especially sugar cravings actually stem from an imbalance of mind, body, and spirit. So, it’s important to pay attention to our spiritual needs in order to overcome our addiction. One of the simplest, most effective ways to do that is by focusing on what we’re grateful for. Studies have shown that people who practice gratitude regularly are naturally happier and less stressed. ● Start a gratitude journal or make a gratitude section in your Bujo. ● Tell the people in your life why you’re grateful to have them. ● Spend a few minutes each morning or evening thinking about what you’re grateful for. Why this works: The fat in the avocado helps suppress cravings and the raw cacao satisfies chocolate cravings. Add all the ingredients to a blender or food processor. Blend until well incorporated. Rub a dab of coconut oil onto your hands and roll the mixture into individual balls. Store in the refrigerator for about an hour before serving. Why this works: Apples are sweet enough to curb cravings and they are low glycemic fruits. The cinnamon and nutmeg give these “truffles” a ton of flavor, which also satisfies sweet-tooth cravings. The almond butter provides both fat and protein, which helps fill you up and satisfy hunger. Add all the ingredients to a blender or food processor. Mix until smooth. Pour into a popsicle mold and freeze until firm. Dip in unsweetened toasted coconut flakes. Why this works: The fat from the avocados satisfies cravings, and the cocoa powder satisfies your chocolate cravings. What are your sweet tooth cravings? How do you typically deal with cravings? 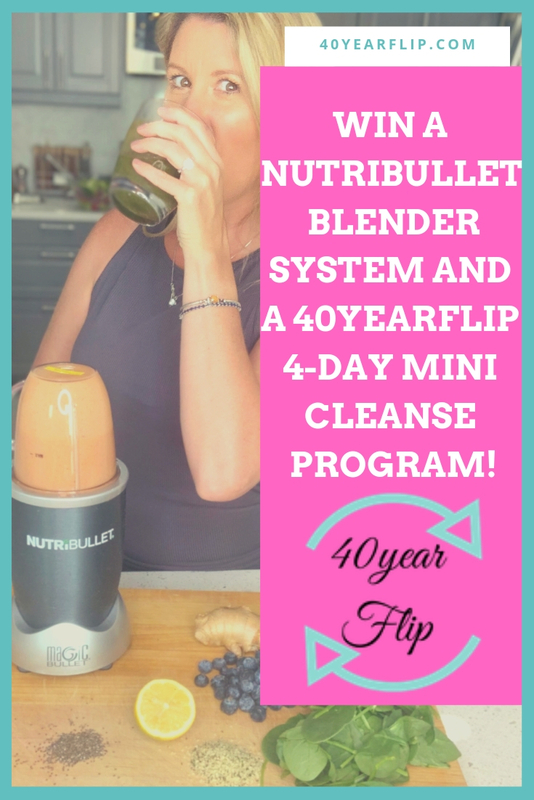 Let us know in the comment box, or hit me up on Facebook or Instagram and tag #40yearflip! If you’re a bit like me, just the hint of a little stress will send you straight to the kitchen, in search of something yummy, satisfying, and probably not-so-healthy. The intent is, of course, to indulge in some delicious food in order to banish the thoughts that are causing you to stress. Stress manifests in different ways, but many of us can relate to the concept of emotional eating. But do we know how to stop emotional eating? Ever catch yourself elbow deep in a bag of pre-popped popcorn after a crap-tastically stressful day? I have. Hell, I have (many times) planned an entire “cheat day” around all the foods I want to eat. I’ve planned entire vacations around eating. Emotional eating, or stress eating, is when you consume food not out of hunger, but out of anxiety, frustration, or sadness. For some, emotional eating is triggered by a particular traumatic event but for others, it can just be a habitual reaction to stress or emotional turbulence. But don’t worry—emotional eating is somewhat normal, and, like with anything, if you approach it with a plan, it doesn’t have to be such a bad thing. Besides, we all deserve a treat every now and then, right? In fact, emotional eating can be great for relieving stress, if you choose the right foods, or the right amounts of the not-so-right food, and, provided it doesn’t get too out of hand. Did you know that eating puts our body into a state of relaxation by activating the parasympathetic nerves? Indulging in and savoring the flavors of food feels good and can lift our moods instantly. 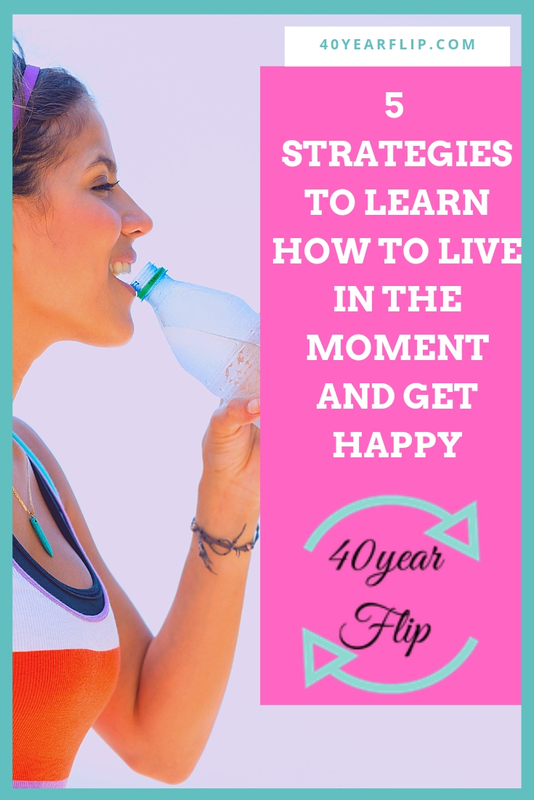 Making us flip from grouchy to giddy in no time! But when emotional eating no longer relieves but rather contributes to stress, it can get out of hand. That’s when we need to learn how to stop emotional eating before it takes over. For some, emotional eating can lead to guilty thoughts—this is totally unproductive and you’ve got to flip your way of thinking. Before you give in to emotional eating, set up limits. If you know that eating 3 cookies will make you say, “Oh, well, everyone deserves 3 cookies now and then, and so do I,” then great. Chow down on 3 cookies, and enjoy the heck out of them. But, if you know that if you have 5 cookies, you’ll feel bad about yourself, be absolutely sure to serve yourself only 3 cookies. Don’t let what should be a pleasurable thing, like treating yourself to some chocolate chip yumminess, give way to self-loathing and feelings of shame. If you feel as if you want to hide your eating habits, you know that you are making poor choices. I’m a Health and Wellness Coach, and yet, I’m never ashamed to post a picture of me eating churros and drinking a glass of champagne on my Instagram stories. I don’t believe in denying myself any of things I love to eat and drink (and do for that matter). It’s all about balance. I know that I made good and healthy eating choices 9 out of 10 times. So, the 1 time I don’t, I make sure I enjoy every last bite. You should too. To prevent emotional eating from advancing to the next stage, we need to tackle the problem at its roots: stress, frustration, and other emotional ruts. Take up meditation or yoga to simultaneously tackle stress and improve your self-discipline. Engage in a stress-free activity like painting or walking your fur baby, and take plenty of time to distance yourself from whatever may be causing your stress—whether that is work, a stressful home environment, or the people in your life. If you journal, consider making an emotional eating chart, so you can see if there are any patterns in your eating habits.. Records of your day-to-day eating choices will help prevent you from putting on unwanted pounds and improve your overall mindfulness when it comes to consumption. And finally, to manage your emotional eating in a far more healthier way, look for healthy alternatives to your favorite go-to snacks, such as oven baked sweet potato fries instead of the regular deep fried kind, or carrot sticks and hummus instead of tortilla chips. Easier said than done, right? Yes and no. Sometimes, a carrot stick just isn’t going to cut it. So, indulge in a small amount of whatever it is you are craving. And then fill up with a healthier side dish. There is always some healthy or healthy-ish food that I crave for a week or two before I move on to the next craving. Sometimes it’s raw veggies and hummus, sometimes it’s ceviche. Whatever your cravings are, I’m sure you can find at least one that isn’t deep fried, coated in sugar, or full of fat. Being prepared is the best way to avoid making poor choices. I always keep raw veggies and a healthy dip on hand, as well as some boiled eggs, and any other healthy foods that I’m craving that week. Since I’m busy (like, no kidding, who isn’t?) I keep pre-made meal cups by Daily Harvest in my freezer. Daily Harvest cups come all different varieties like smoothies, soups, full meals, chia parfaits (for when you need a guilt-free sweet) and even superfood lattes. Comment below to share your usual go-to craving food is. What is your vice? We all have one (ok….maybe a few!). It seems like matcha is everywhere these days. And, unlike most trends, this one is one that you really should start flipping into your daily routine. 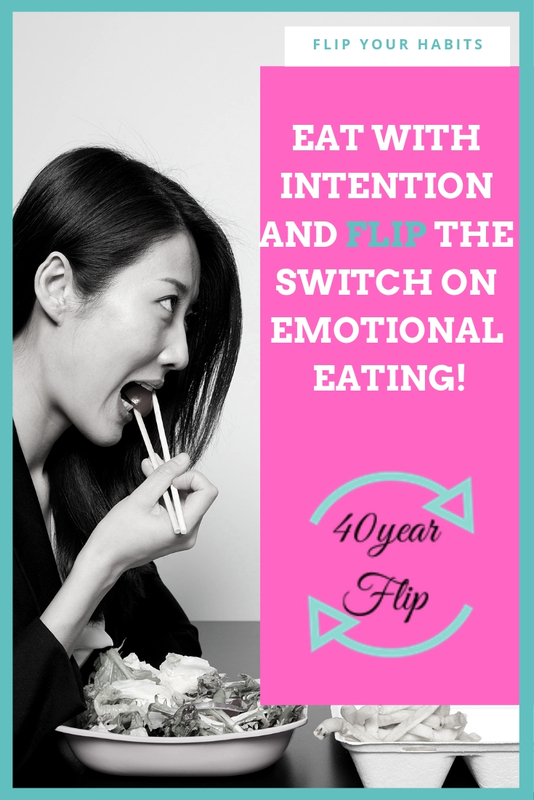 This is one of the easiest flips you can do for your health.